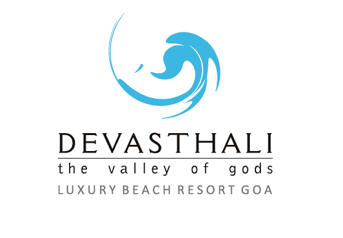 Only about 700 meters from the beautiful Hollant beach, nestled in a lush green coconut grove surrounded by hills, stands Devasthali - an award winning luxury resort of Goa. A favorite destination of travelers from across the globe is this small piece of Europe in a rustic Goan setting. Spacious rooms with well appointed interiors, beautifully landscaped gardens, great cuisines and a fabulous Spa, hold the promise of a truly memorable vacation at this Indian beach paradise. Devasthali Resort collects information about our guests and visitors to our web sites so that we can provide an experience that is responsive to our guests needs. We endeavour to collect information only with your knowledge and with your permission if necessary. The types of personally identifiable information that we collect may include your name, home, work and e-mail addresses, telephone and fax numbers, credit card information, date of birth, gender, and lifestyle information such as room preferences, leisure activities, names and ages of children, and other information necessary to fulfil special requests (e.g., health conditions that require special room accommodations). We do not knowingly collect personal information from individuals under 18 years of age. As a parent or legal guardian, please do not to allow children to submit personal information without prior permission. We do not knowingly collect information related to your racial or ethnic origin, political opinions, religious or other beliefs, health, criminal background or political affiliations, unless it is volunteered by guests themselves. We may use any health-related information provided by guests only to serve them better and meet their specific needs when they stay or dine at Devasthali Resort . ©2011-17, Devasthali - The valley of gods (a unit of Tantra Designs Pvt. Ltd.). All Rights Reserved.